Siemens Sinamics G120X drive specializes in infrastructure pump, fan and compressor applications. 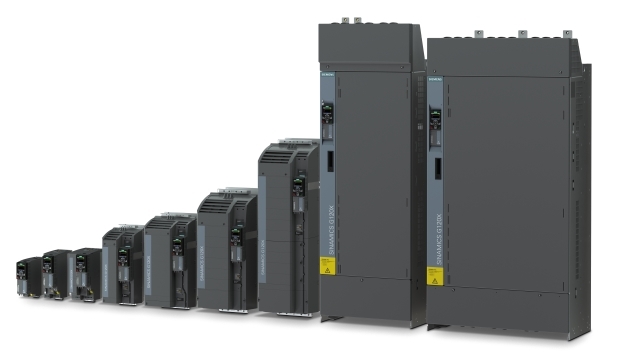 Siemens introduced its Sinamics G120X drive, designed for use in pump, fan and compressor applications. The drive has a power range of 1–700 hp (0.75–630 kW) and can operate in a temperature range from -4 to +140° F (-20 to +60° C) with any standard motor, including synchronous reluctance motors (SRM). With a DC choke to improves harmonics and EMC performance, the drive meets UL, NEMA and EN/IEC standards for 2019. It also offers up to 100 kA short-circuit current rating (SCCR). G120X drives enable motor cable lengths of up to 492 ft. (150 m) with category C2 or C3 filter and up to 1476 ft. (450 m) without filter and have hardware-based SIL3-certified safety functions built-in.